Ah, the Ancient Greeks! What a wonderful subject to explore! 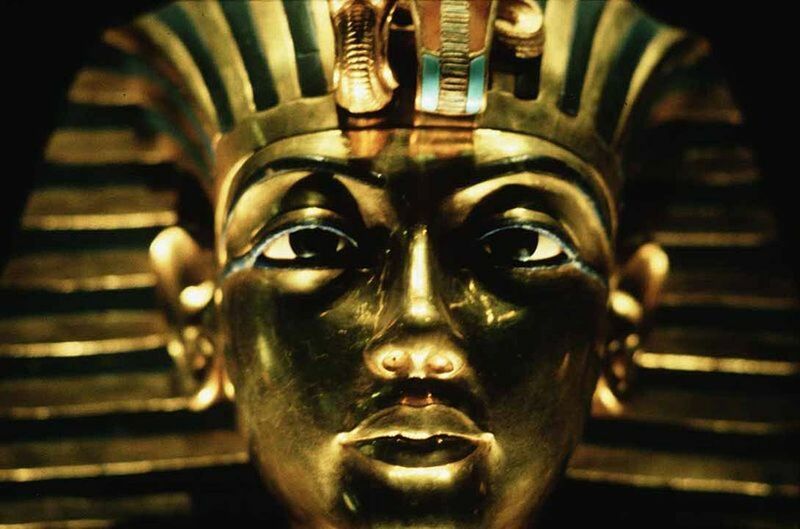 From Ancient Greek Mythology to the Philosophies of Socrates and Plato, from Euclid's Geometry to the origins of Democracy, this is a unit study for middle schoolers that can easily be adapted up or down for K-12. 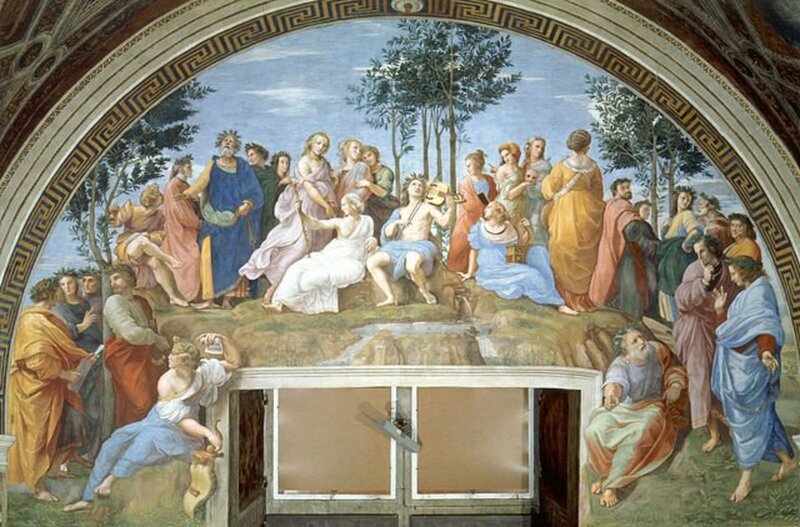 Learn of the Ancient Greek Gods and Goddesses and how their mythologies effected the ordinary lives of the people of Ancient Greece. Compare the philosophies of Epicurus and Aristotle. Use K'nex and patty papers to understand Euclid's geometry.Make a lyre and a cyclops. Gather your learning into a portfolio of your Ancient Greece Studies and highlight them in an Ancient Greece Lapbook. My 13 year old loved this book. She was fascinated with mythology and couldn't put it down. This is not a picture book. Mythology by Edith Hamilton describes each of the gods and goddesses of Ancient Greece and tells their stories. There are the common ones, of course, but there are also some of the less known ones as well. Reading back and forth through the book you get a sense of what a rich storytelling tradition people enjoyed in Ancient Greece. We created a genealogy or Family Tree of the gods similar to the one on Wikipedia but we included pictures of the gods and goddess. Created a time line in order to keep track of the events mentioned. Teacher OZ has some good examples but we just made our own on index cards which we attached to a clothesline. Each time we ran across a new date we would add it to our timeline. We posted a map of Ancient Greece on the wall to keep track of places. When we studied Ancient Greece we didn't have much access to the Internet. You might find it easier to use Google Earth such as this presentation on some of the most famous archaelogical sites. D'Aulaires' Book of Greek Myths is one of my children's favorite books on Greek Myths. Whenever we go to the library we look for and read many others but we all agree if you were to own only one book of Greek Myths, this would be the one. Reading tales of daily life in Ancient Greece transports children back in time to learn more about this glorious civilization from antiquity. Meet the Spartan Twins as they watch the Parthenon be built. A Macedonian earns acceptance by the people of Thebes. A Macedonian wins the foot race at the Ancient Greek Olympics and becomes accepted citizens of Thebes. 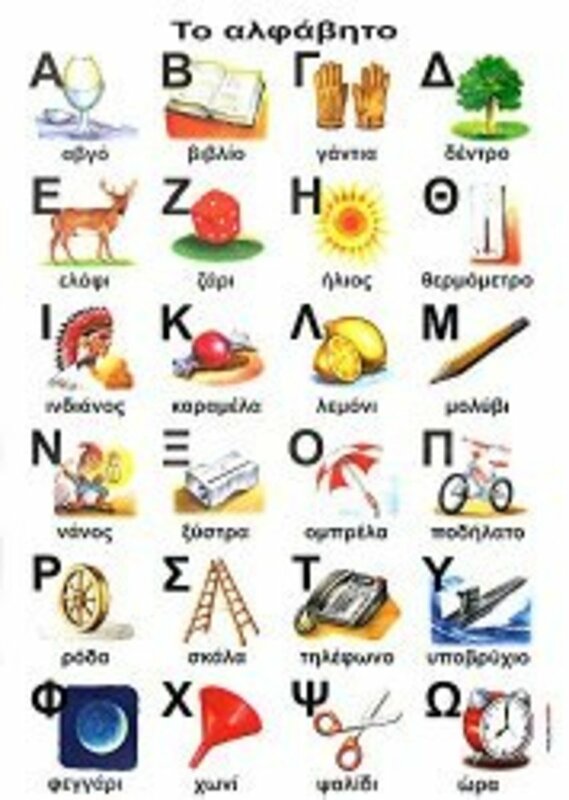 Can you name the Greek Alphabet? is a Sporcle Greek Alphabet Quiz Game. Type in the English names of the Greek letters. At first it might be difficult but with practice you will get better and better. With this fun, online game, you compete against yourself. Can you beat your own time? Another fun way to practice the Greek Alphabet is to purchase two copies of the poster to the right. Cut them apart, laminate them, and use them to play Go Fish, Memory or other card games. By just playing games you will be surprised at how fast you can learn all the letters. Use this chart to help you write your own imaginary letter home to Athens! The ancient Greeks spent their time studying geometry. Geometry looks at shapes and spacial relationships and describes them using numbers and diagrams. Blow bubbles. What happens when you blow them through a square opening rather than a round one? Can you make square bubbles? Compare squares with cubes, triangles with cones and hexigons with polyhedrons. 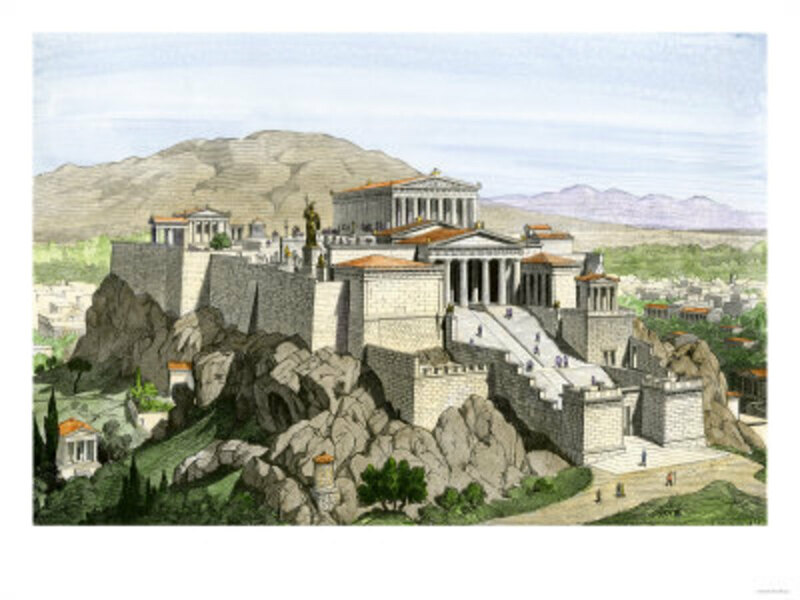 Daily Life in Ancient Greece - What was it like to live in Ancient Greece? Learn about daily life in Ancient Greece through interactive readings in conjunction with the museum's collection. 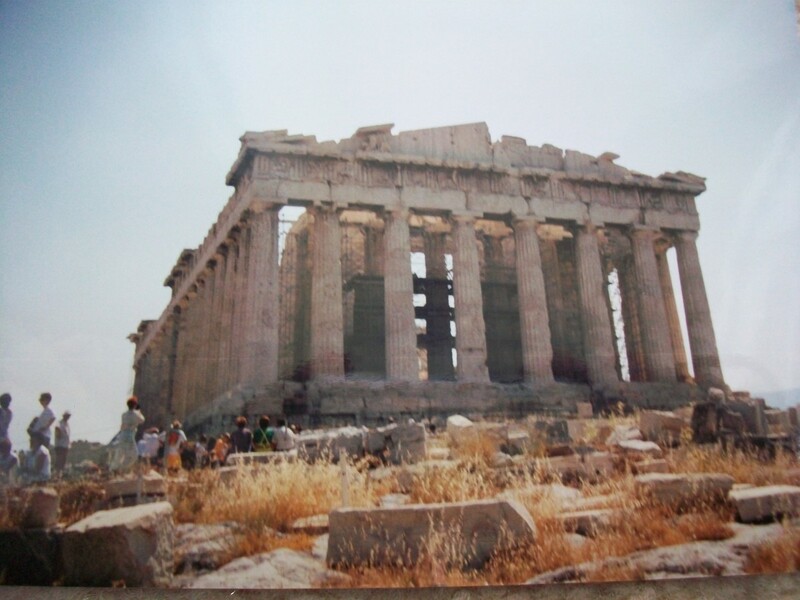 Together we assembled the Parthenon, that incredibly majestic symbol of Ancient Greece. Creating paper models gives you the opportunity to revisit all that you have been learning. Later we used it in dollhouse fashion to retell the stories of Ancient Greeks meeting on the steps to talk, philosophize, or conduct business. Parthenon: Rise of the Aegean immerses you in an exciting, competitive world filled with aggressive trading, perilous voyages, and the construction of grand monuments. 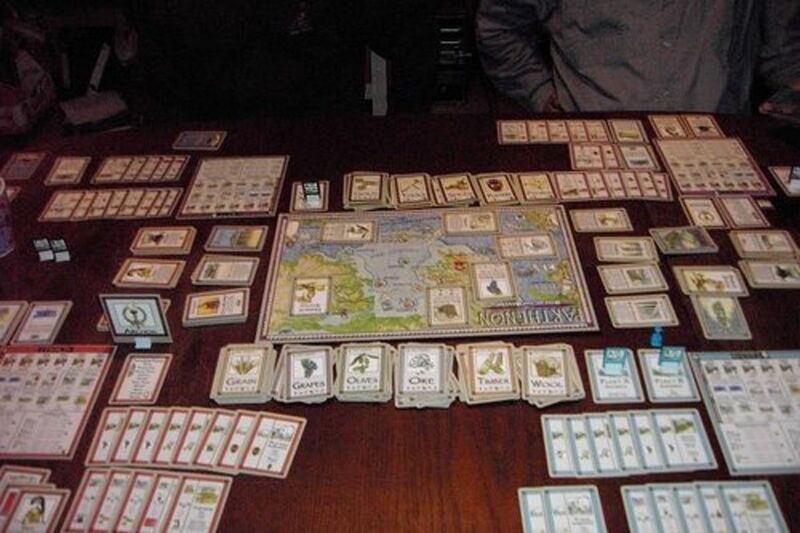 It is a game of commerce for 3-6 players set in the islands of the Aegean Sea. The time is 600 B.C. and mainland Greece stands on the threshold of glory. The Aegean Islands now attempt to share in that glory and to thrive in an increasingly profitable (and dangerous) world. Each player represents a different island in the Aegean Sea populated by two villages and a fleet of trading ships. Each island's villages produce commodities which are either traded with the other islands or sent abroad across the Mediterranean Sea. Fleets journeying to distant lands face the deadliest hazards, but also obtain the greatest rewards. Each player strives to develop his island by building additional villages, workshops, and advanced structures such as fortresses, shrines, and academies. The first player to complete all of the structures on his or her island, including two Great Wonders, wins the game! Greek History can be hilarious! Either God wants to abolish evil (natural disasters, diseases, suffering, famine etc), and cannot; or he can, but does not want to. ... If he wants to, but cannot, he is impotent. If he can, but does not want to, he is wicked. ... If, as they say, God can abolish evil, and God really wants to do it, why is there evil in the world? My 13 year old expressed an interest in learning about Philosophy and when I ran across this Audiotape I just had to get it and pop it in the car's CD player. My daughter, of course, loves to tell jokes so I thought that this slant on teaching philosophy might be just the thing to tickle her funny bone. 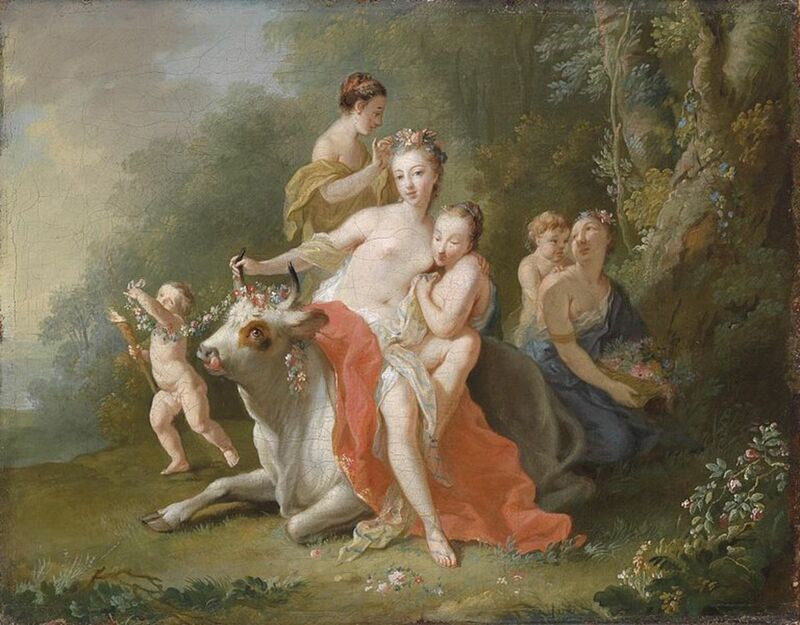 The mythology of Ancient Greece has inspired people for centuries. Icarus by Henri Matisse is done in a simple, bold style. By creating artwork that copies the masters, children have a chance to explore different artistic styles and broaden their perspective on the ways that they choose to illustrate their work..
1. Read the story of Icarus from D'Aulaires' Book of Greek Myths. 2. Show the children the poster of Icarus by Henri Matisse. Discuss the colors and the simple shapes that depict Icarus as he falls from the sky. 3. Ask children what materials they think might have been used to create this picture. Let me know about Greek culture. Really great job on this lens - thanks a lot! Love this lens! Learned about a book, D'Auleries I had not seen. The reviews indicate I've been missing a lot. 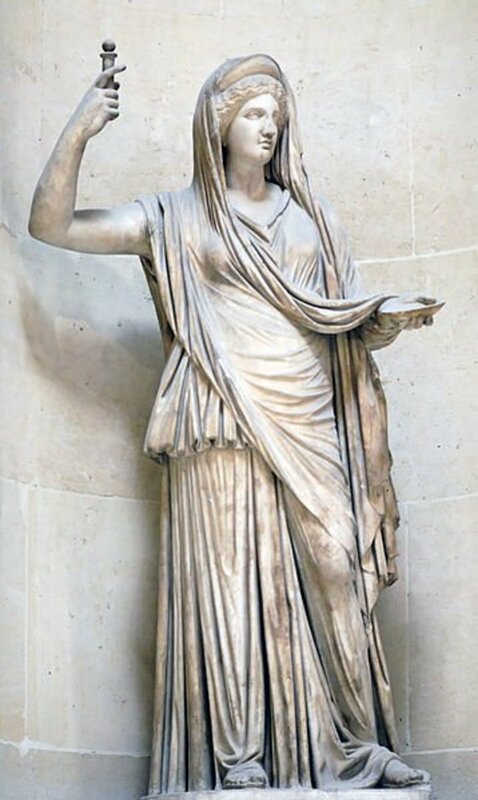 Ancient Greek culture has always fascinated me. And I enjoy re-reading Edith Hamilton's Greek mythology. Great lens! Well done! 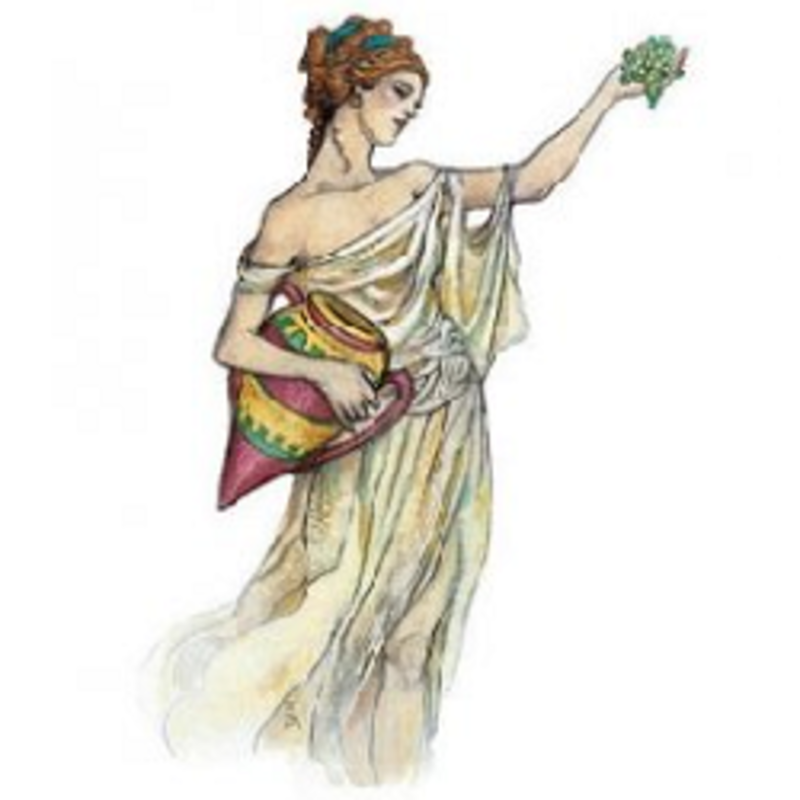 I'm delighted to meet such an ardent lover of our Greek mythology and culture here on Squidoo. Thank you for introducing little ones to ancient Greek world. Very good lens - I think we have a lot to learn from Ancient Greece in this Olympic year. You have an excellent lense. I enjoyed reading you lense about Ancient Greek Activities. Wonderful land thoughtful ens on study and ancient Greek activities. Great lens - blessed by a travelling angel. Adding this to my delicious list. Not sure if history repeats itself or not. I like ancient history, especially greek. Great lens indeed! Great lens! Thank you for sharing! I'm saving this for when we study Ancient Greece! This is perfect timing for me. We are just looking for a project to do to finish out the year, and this is about where we are in history. Thanks for pulling it together. Very informative and resourceful. I am interested in Greece history and culture. Thank you for the lens. Wow, what a supercalifragilisticexpialidocious lens. I haven't seen one this good since the one on Michelangelo. You must have worked a lot in order to make such a less. I like the photos and the videos you have used. You might be interested in my lens that is about Ancient Athens, in particular Philopappos hill which used to be an important monument during the ancestry. I hope that you will have a look at it, if you have some free time! I wish we had had access to this when I was learning about the ancient Greeks and Romans in school. All of your lenses are so colourful and instructive, for all ages. Thank you. @Helena_Schrader: These are the materials that I used with my daughter when we were doing our Ancient Greek Unit Study. I hope they help you if you decide to study Ancient Greece with your children. Wonderful as always Evelyn. I have sent this to some of my homeschooling friends as I know they will love it. This is a wonderful lens! There is so much great information and so many interesting resources here. You've done an amazing job putting all this together. When you get the chance, I'd love for you to stop by my lens and say hello. @hypnosis4life: Thank you so much. Have you studied Ancient Greece with your children? @AlisonMeacham: Thank you, Mouse, We certainly have enjoyed this unit study. Love the Lens - and what a subject. Still a lot we can learn from ancient Greece. Nice lens. I loved all the poster issues.